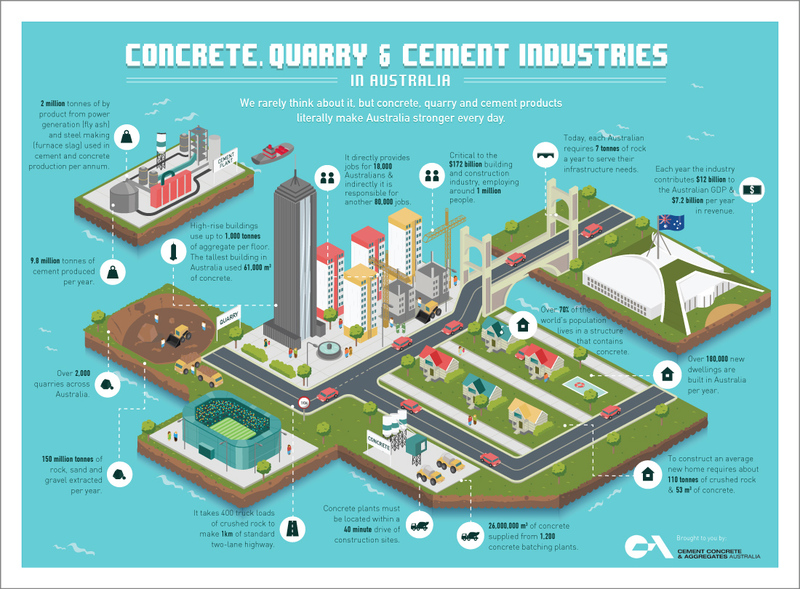 The heavy construction materials industry produces concrete and its constituent parts; sand, aggregate and cement. 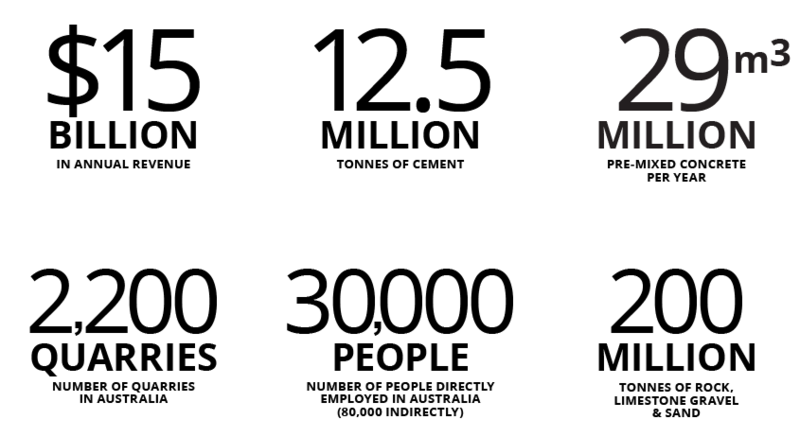 The reliable and cost-effective supply to these markets is fundamental to sustainable growth and it is CCAA's aim to promote policies and planning frameworks that recognise the importance of these materials to Australia's sustainable future. Click on the below video and infographic for an overview of the industry and learn how we provide the foundation for our nation's construction and infrastructure markets.